It was another record warm year for Earth. 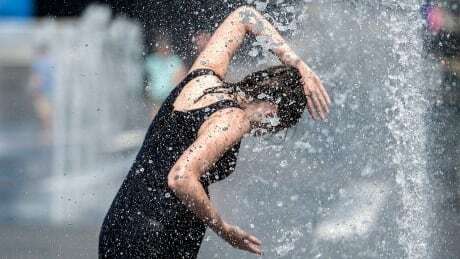 On Wednesday, scientists from NASA and the National Oceanic and Atmospheric Administration (NOAA) announced that 2018 was the fourth warmest year on record. It ranks behind 2016, 2017 and 2015, respectively. Globally, temperatures were 0.83 C warmer than the 1950 to 1980 average, according to NASA. "The key message is that the planet is warming; the long-term trends are extremely robust," said Gavin Schmidt, director of NASA's Goddard Institute for Space Studies. "There's no question about the trends and our understanding of why those trends are very robust: it's because of the increases of greenhouse gases that we've put in the air over the last century." The research was done independently by both agencies, with each arriving at the same conclusion. Since the 1880s, Earth's average temperature has risen by 1 C, largely driven by the increase of human-caused carbon dioxide emissions into the atmosphere. Of particular concern is the Arctic, Schmidt says, which is warming faster than the rest of the planet, and helps fuel extreme weather. "The rate of warming is about two to three times faster in the Arctic than the global mean." In the U.S., there were 14 weather-related disasters that cost the country $1 billion or more last year, including hurricanes Michael and Florence. In the West, drought conditions persisted, while in the East, it was wetter than normal. 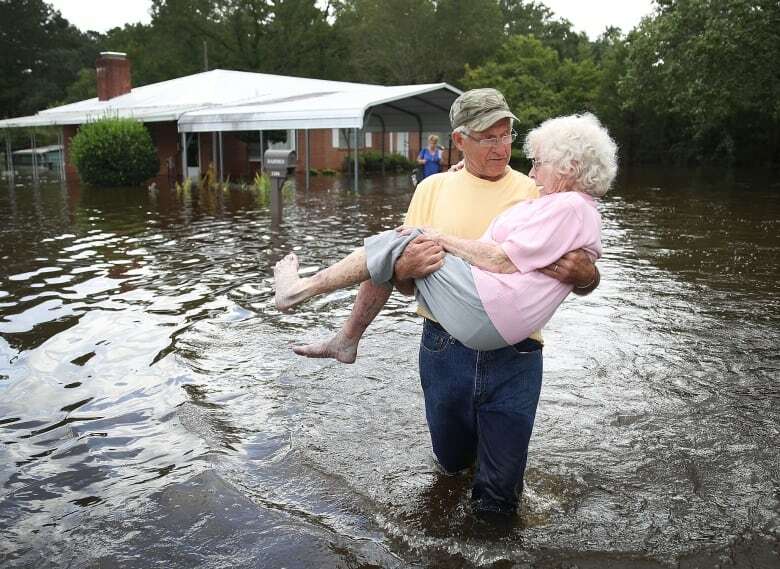 Bob Richling carries Iris Darden as water from the Little River starts to seep into her home on Sept. 17, 2018, in Spring Lake, N.C. Flood waters from the cresting rivers inundated the area after the passing of Hurricane Florence. The drought extended into the Canadian Prairies and intensified in the Pacific Northwest, including B.C., which saw its worst fire season on record. The province spent close to $300 million fighting fires last year, far exceeding its $63 million annual budget for the task. In 2017, it spent more than $500 million in what was then its worst fire season on record. While the global average temperature was ranked the fourth warmest, it wasn't warm everywhere. The interior part of North America was on the cooler side, including up into the Prairies. As well, the Caribbean had its coolest year since 2012. However, those cooler parts of the world were the exception. Cumulatively, North America's continental temperatures were the 18th highest since record-keeping began in 1910. In Europe, France had its warmest average temperatures since record-keeping began there in 1900, 1.4 C warmer than the average. In Africa, the continent recorded its fifth warmest year on record. The five warmest years for the continent have all occurred since 2010. And, of particular note, several locations in the Arctic Circle near Scandinavia recorded maximum temperatures of 30 C or higher. When looking at the global temperatures, there are some ups and downs, says Deke Arndt, chief of NOAA's climate-monitoring branch at the National Centers for Environmental Information in North Carolina. These ups and downs are due to internal processes in particular regions. But, he says, the trend is clear: Earth is warming. "[The data] resembles riding up an escalator over time and then jumping up and down when you're on the escalator," he said. But the escalator is still going up. The scientists also noted that nighttime temperatures are higher than the 1950-1980 average across North America. This can be due to the trapping of daytime heat by the atmosphere and increased cloud cover. The scientists also point out that each year they take into account the effects of the El Nino Southern Oscillation (ENSO) patterns in the Pacific Ocean that contribute to variations in climate. A year following an El Nino (warmer water) will typically be warmer; a year with La Nina (cooler waters) will typically be cooler. There is currently a mild El Nino, which Arndt says will likely contribute to a warmer 2019.